If you’re a parent, you will know that nap times are the holy grail of a parent’s sanity. It is a time, whether it be an hour or four, when you can function as an individual in whatever way you wish. Just imagine! A truly treasured time, which can be short lived if any of these rivals decide to show up, and my oh my what horrors they are for parents is simply indescribable. 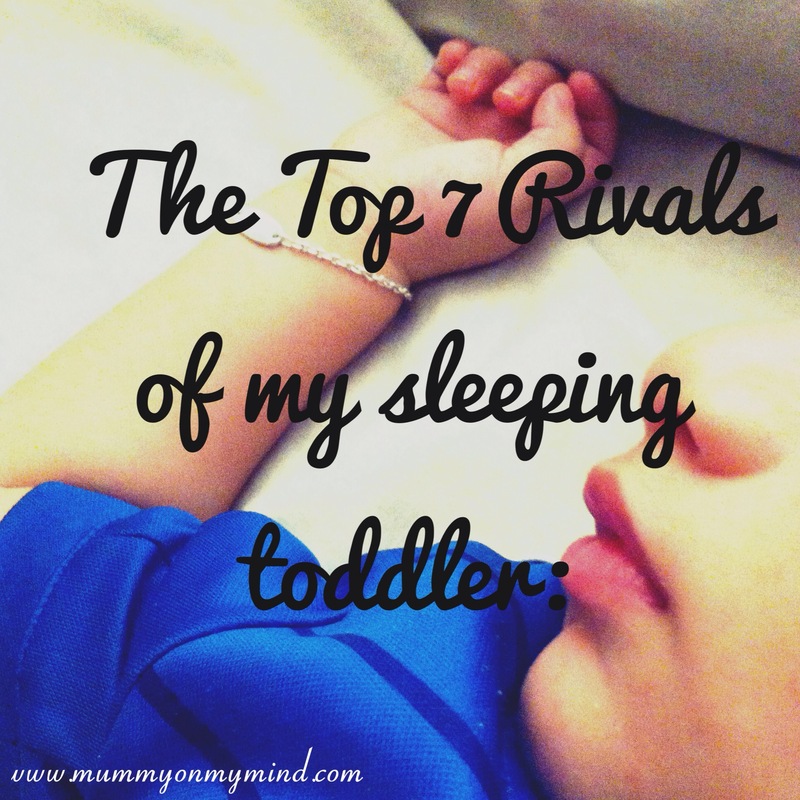 So without further ado, let me introduce to you the top ten rivals of my sleeping toddler. They are in no particular order, they are all just as bad as each other! 1) The doorbell. It seems to only ring during nap times. Why is that? 2) The creaky bed / floor / door. How is it even possible for marble tiled floors to creak? But they sure do, and only during nap times of course! 3) My bangles. I have lost count of the number of times Baby Z has woken up because my bangles have jingled too loudly, and yet, I have not learnt my lesson! 4) The volume on your phone. You know the scene. Your baby is napping next to you and you are scrolling through your social media or YouTube, catching up on all that you have missed. You click on a video and it starts playing at full volume. You panic and start jabbing at the screen to make it stop, but you are too late. Also, Siri needs to automatically put all phones on silent mode as soon as a napping baby is detected in a five mile radius. 5) The sneeze / cough. Aren’t involuntary body functions just the worst? Just as Baby Z falls into a deep slumber, I have one of the loudest sneezes to overcome me. And of course because it is nap time, I can’t possibly only sneeze once. Three or even four sneezes are absolutely mandatory. 6) My husband. Mr Z works quite flexible hours, yet his time of return nearly always coincides with Baby Z’s nap time. This of course means that the second Mr Z puts his keys and laptop bag down, Baby Z’s Daddy radar starts beeping away and next thing you know, we have a toddler that is wide awake! 7) The mummy snuggle. I am possibly the worst rival of my sleeping toddler. As I watch Baby Z, eyes closed, breathing peacefully, limbs splayed out in a mid way star jump, I can’t resist but to give him the softest of mummy snuggles or a kiss on the forehead. I regret it as soon as I do this of course because I have just woken up my baby and lost my chance at the one hour of sanity. What are your sleeping baby rivals? Are they similar to mine? Please feel free to share your thoughts in the comments section below! Haha glad I’m not alone! Thanks for reading! ? All of these, plus don’t forget the phone ringing. We also have the “daddy radar” problem, but at bedtime! Oh yes! That’s another common rival! Thanks for reading! Haha! Door bell is my worst enemy at the moment!